The last time a Major League Baseball team used a cart to take pitchers from the bullpen to the mound, the Arizona Diamondbacks didn't exist. But that isn't stopping the team from bringing the longtime baseball tradition to Chase Field for the team's 20th anniversary season. The Diamondbacks announced the move last week, with baseball's spring training underway at several locations in the Phoenix area. The use of a motorized vehicle to transport relief pitchers began in the 1950s, the team said in a news release. Its last known use was in 1995, when the Milwaukee Brewers employed one. The Diamondbacks began play in the 1998 season. "We have been working on this idea for several years, and there's no more appropriate time to bring back the bullpen cart than this season, as we celebrate our 20th anniversary," D-Backs President and CEO Derrick Hall said. 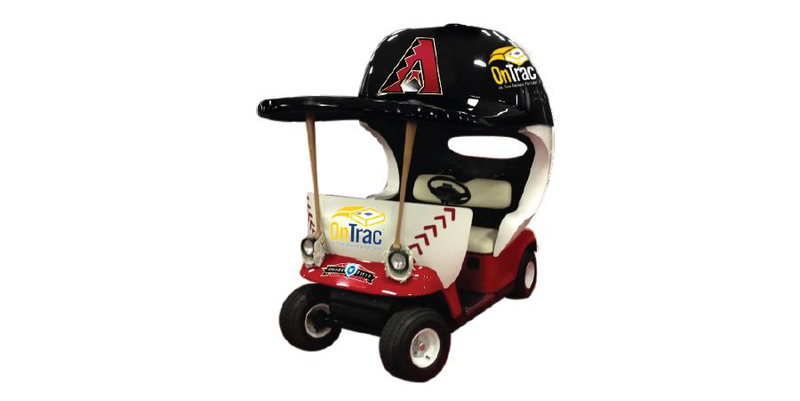 Delivery company OnTrac will sponsor the cart, which is being built by SportsKartz, a Tampa-based company, the team said. Online reaction to the news appeared mixed, with some baseball fans expressing optimism that the cart would speed up pitching changes and improve the pace of play at Chase Field. Others, however, wondered if the excitement of a star reliever entering a game might be tempered by having him ride in a cart, rather than run in from the bullpen. What do you think about the move? Let us know in the comments. Ha! I think this is a great idea! It may speed things up but probably not by much. I just think it just adds a classy touch to an otherwise tough managing decision during a game. Looking forward to seeing it used.